India’s national trade has a reasonable share of air cargo. Once air freight option was considered to be very much expensive but with the advancement of technology and time, air cargo is being considered reasonable. Time is money and the entire system of air cargo follows this golden rule. 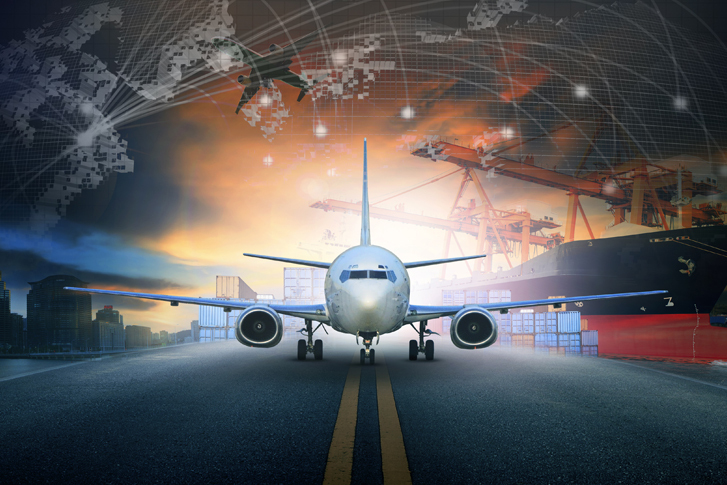 Privatization and Globalization have made air cargo preferable for transporting the sensitive and expensive items that need to be transported in the very short span of time. Many factors affect the air cargo industry in India. Some of those have the potential to contribute in its rise while others may cause a decline in air cargo’s leading graph. India, being one of the fastest growing economies in the world is currently at number 4 in terms of purchasing power. And it is expected that India would rise to number 2 economy of the world by the year 2025. Though India’s cargo industry has shown a considerable growth of 9.3% in air freight airlines in India are spending 75% on transporting passengers while only 25% is being spent on air cargo. This condition highlights the need for improvements so that this industry should have provided essential support from the Government. China’s policy to abstain from low-quality products and Bangladesh’s inadequate policies are proving helpful for India as India has cheaper labour than China. Make in India the motive is so successful that productions in India are increasing exponentially. Pharmaceuticals industry of India is uplifting such that pharmaceutical exports have risen to +15. Garments and Pharmaceutical products are preferred to be transported by air freight, showing significant growth. India’s middle-class population demand for quality healthcare and in result imports are also increased and again air cargo service is preferred to import quality health care products. Constituting a vast area of 3,287,263 square kilometres, India is expanding its domestic air cargo industry. Companies need to deliver their goods quickly to distributors so that it could reach the end-user in an uncompromised way. Until the arrival of low-cost carriers in India’s domestic air cargo, only reliable way to transport goods within the country was by road. But now the time has changed and people have the best bet of air cargo these days. The Airport Authority of India under the Government of India umbrella is working on certain policies to give a boost to domestic air cargo services. 24 airports have been identified to have Domestic Air Cargo Terminals. The increasing demand for air cargo positively impacts the air cargo industry of India. They have to improve the design and enhance safety. Smart regulations are being introduced to facilitate fair trade. Security is the responsibility of states and states are working untiringly to improve their security and making airports safe. Smart systems are introduced to keep everything in line as per plan to smooth the air cargo operations. Security systems need to be pursed to ensure the ultimate trust of customers. India’s air cargo has the potential to become a global hub but the only thing that comes in the way is inadequate infrastructure. Infrastructure should have to be modernized and expanded to meet international standards. However, Future predictions map a tremendous boost to the economy by a reasonable contribution from air cargo sector as well. Indian Civil Aviation department is making policies to attract foreign cargo operators. This investment would be attracted in terms of joint ventures and funds would be utilised to renovate and modernize the infrastructure. Future aspects for Indian air cargo are very much promising in making India, a global trade hub.